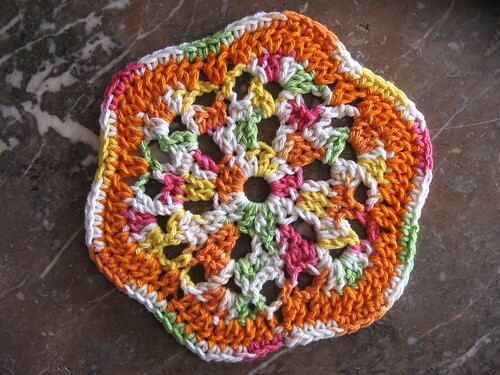 I agree that orange would have been better in the center of the Honeycomb dishcloth, but it stills looks very nice. Not a fan of lacy dishcloths unless they’re big enough to fold over. I don’t like my fingers poking through when I’m washing!! They make nice gifts, though. I love giving dishcloths as gifts! Those are so pretty. I actually like the variegated as the main color on the Honeycomb. You do lose the pattern a little, though. Nice work! What very nice wash clothes! Doesn’t it bite when you can’t show off your hard work yet. I am very excited to see your Through any window walkthrough! Glad to hear that your camera was able to be broken back into place. Have a nice day! Oh, I love them all. Especially the orange one. WHat fun colors! 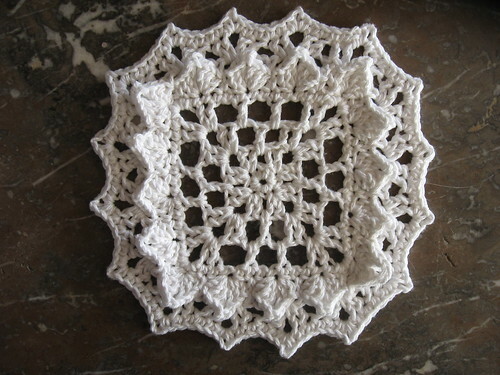 I love that pattern and think I might have a go at it since I too have tons of peaches and creme cotton yarn laying around. Love all the dishclothes. I love making them too. You did a great job with all of them. 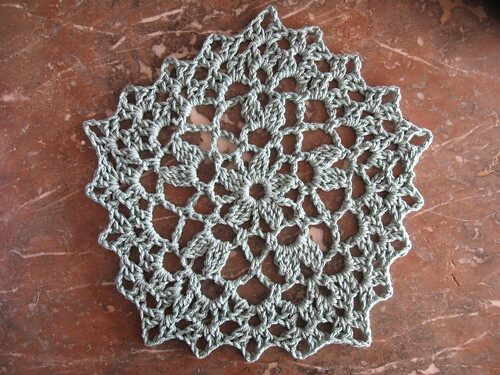 The pentagon dishcloth is so pretty, it almost looks like a small doily. Very pretty! I agree the ornage would have been better as the main color, but it still looks very pretty! 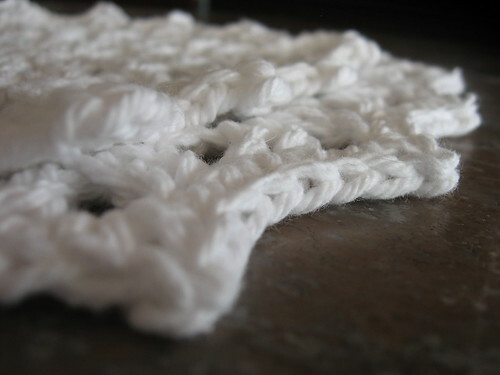 I need to make more dishcloths too, as I’ve got at least 10 balls of sugar and cream ib my stash. I love the dish cloths…they are beautiful….boy it is really cold here!! I think I have moved to the East? or North? Because it can’t possibly be this cold in So CA??? ?